Sometimes, we just need someone to talk to, but for whatever reason, we might need be able to do so. We may feel uncomfortable with the stuff we want to share, or it may simply be the middle of the night, and everyone you talk to is asleep. As always, the Internet is here to help. Artificial intelligence (AI) bots have been around for a while. They use information from conversations that they have had from people to predict the best response to give in the current conversation they’re engaging in. Because AIs don’t have a brain to process the information, these conversations can be very basic, and anything more in-depth can get messy quickly. Many have tried to engage in AI conversations with a humorous spin, posting about how they can get out of control. While they can be really funny, professionals are trying to use AI to help others, particularly when it comes to mental health. 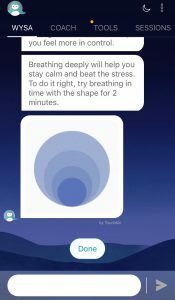 One way is through the app Wysa, which was designed by a group of developers, designers, and psychologists to provide a bot to give you someone to talk to whenever, wherever to help with anxiety and depression. Wysa has you speaking to a cute, tiny penguin, who uses CBT techniques in their conversation with you. 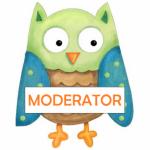 The penguin will not only give responses and advice, but will also respond with cute gifs and emojis. In addition, the penguin will give you exercises, as well as an option of which exercise you prefer from a group, to try. The FAQ emphasizes that your privacy is protected, and you don’t have to make an account with your email, give your birthday, or even use your real name when using Wysa. Your conversations with Wysa will also be saved for you so you can scroll back and see what it has recommended in the past. Talking to Wysa is free, but it also comes with the option to talk to a coach for an additional cost (you also need to be 18 and older to do so too). Have you ever tried talking to an AI bot before? Do you think that they can be helpful to talk to for mental health purposes? 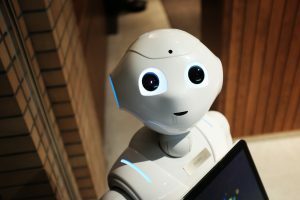 How do you feel about AI?